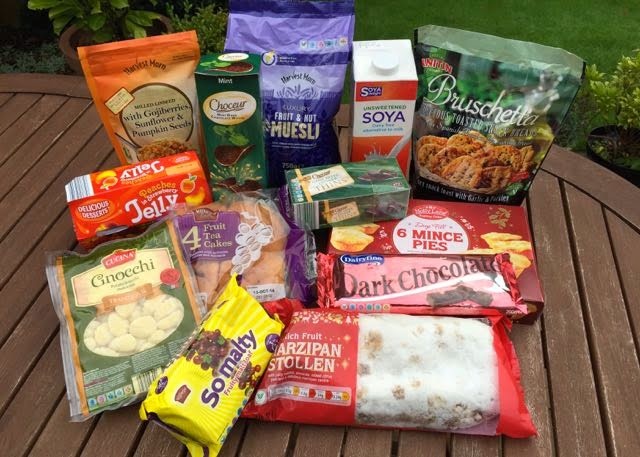 A selection of Aldi's vegan products including stollen, mince pies, malt loaf, gnocchi, jelly and chocolate. 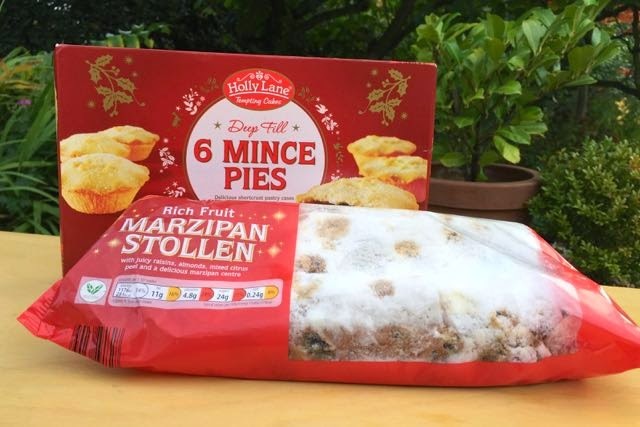 Aldi may not have a vegan list, but that doesn't mean you can't buy vegan cake, pies, jelly and chocolate there... you just have to look harder for it. Without wanting to mention the 'C' word in October, Aldi have plenty of festive fare on offer. We couldn't resist focusing on these two, as vegan stollen was hard to find last year. 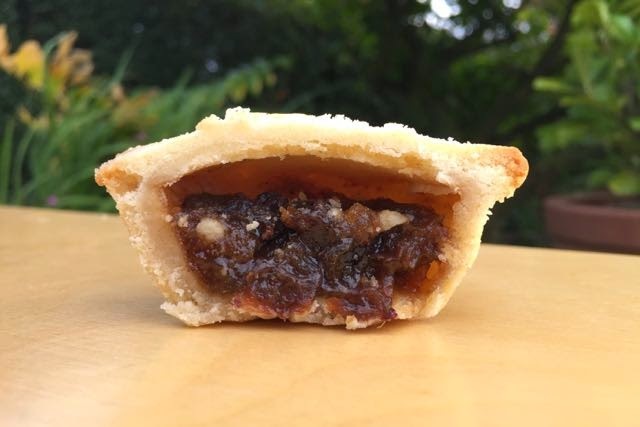 The mince pies are not the best. The pastry was undercooked and a little doughy. The filling was tasty enough though, and the benefit of pale pastry is that these pies can be warmed in the oven without drying out. The stollen is pretty good. Vegan stollen is often a bit bland, because it's more bready than cakey, and doesn't have the richness from butter and egg. The generous marzipan and plenty of fruit means that this is one of the better ones. Aldi is well worth a visit if you have one near you (and who doesn't). 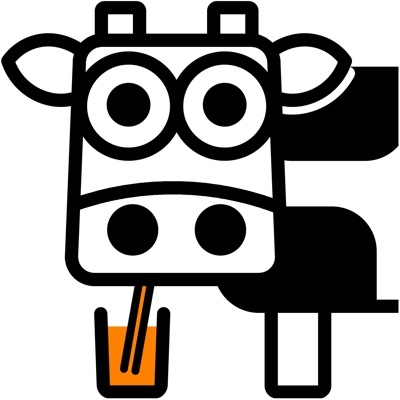 Check out our post on Supermarket Vegan Lists, which includes a Vegan Womble Guide to Aldi and other supermarkets. Thanks Stan. They were out of stock of those choc digestives. 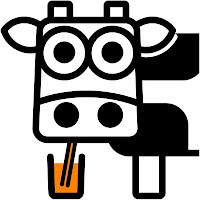 They used to be vegan years ago then changed. All the stollen products in Aldi contained milk and eggs when I checked yesterday. The packet looked identical to your picture too. Shows the importance of checking ingredients! Yes I noticed this, was very disappointed. 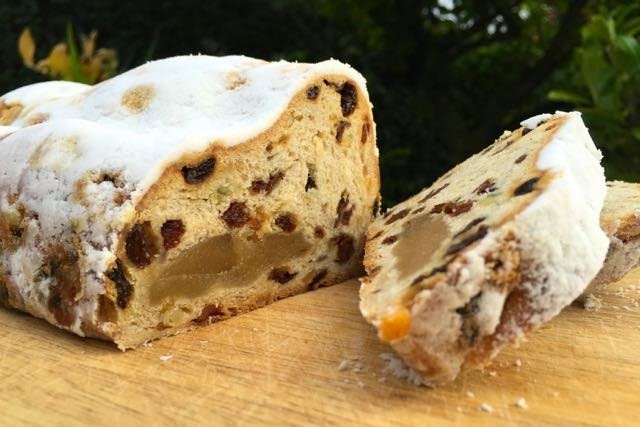 Has anyone found any vegan stollen in a supermarket. I checked Lidl, and the same. I will look out for some polish stores thank you. Bad news on the stollen then. But we have verified Stan's vegan choccy digestives news - get down to Aldi quick before they change them! Been to Aldi and Lidl today. No vegan stollen. All contained eggs and/or butter. Off to search for a recipe. Seems like they have several suppliers. I've never had stollen before, and a friend told me they had vegan stollen in Aldi, but to check the different versions because some had egg. I found the budget one was vegan, but the stollen bites, and the posher version weren't (this was Morecambe Aldi). 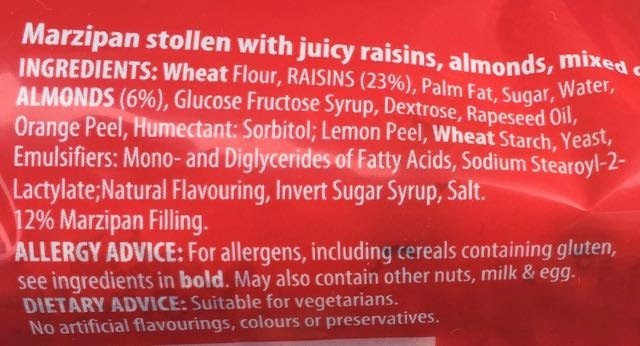 unfortunately those ingredient lists above include Palm Oil/Fat. 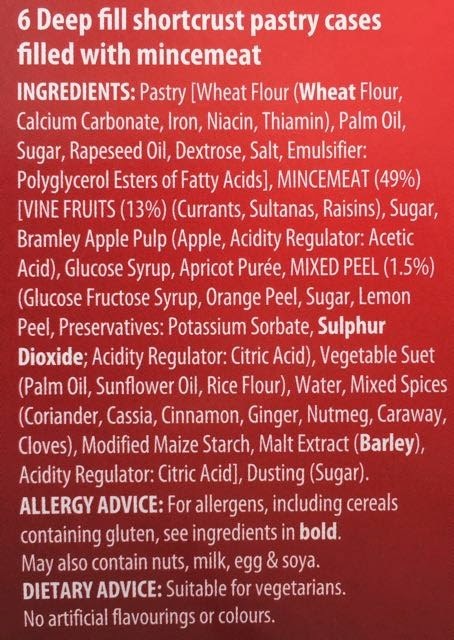 Even so-called 'sustainable' palm oil / fat is not to be relied on, as there are serious doubts about how rigorous the accreditation process is.